Sometimes I forget where I work and the things we execute here. I am still amazed at how life like our sugar flowers really are. Over the weekend, I was talking a walk in my neighborhood and one of my neighbors has the most beautiful peonies in her garden. Of course I happened to have a camera on me (as I usually do) and took a few shots of the lovely blooms. 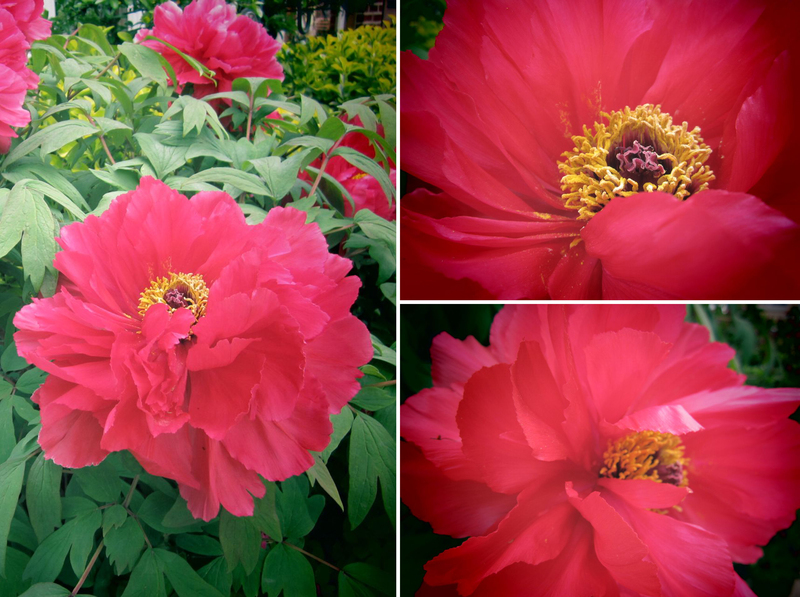 Here are the lovely peonies I came across in my neighbors garden. One of the many things Ron teaches and expects of his staff, is research then a follow through in execution. I see this in our sugar flowers time and again. Ron’s crew really takes the time to look at pictures and handle real flowers to figure out how to execute the curves and the many nuances you see in nature. The staff makes hundreds if not thousands of sugar flowers each year. Ron still takes the time to go over each flower with his staff to make sure he is happy with the result. These are peonies made out of sugar by our very talented staff. The peony is a beautiful flower on it's own or arranged with other blooms. 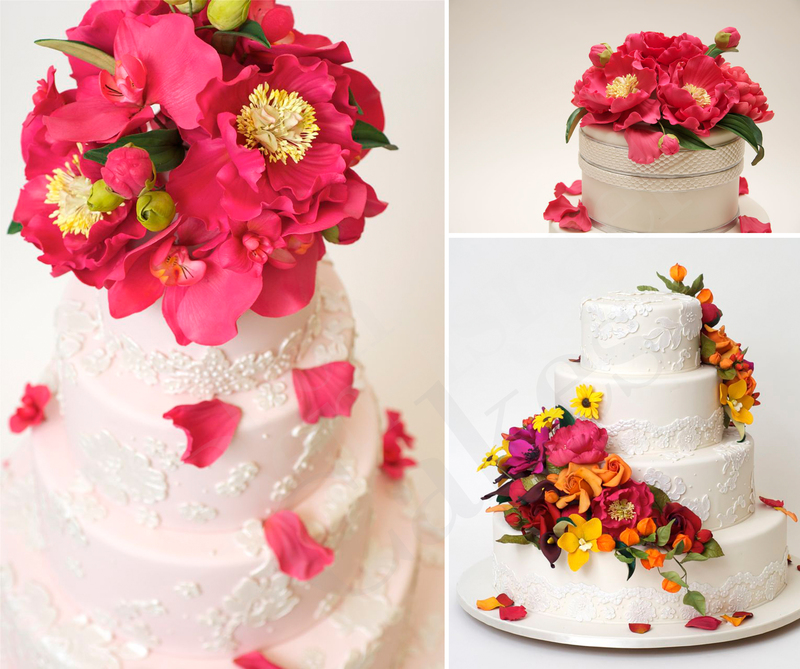 Beautiful Work.Taking your inspiration from nature is a wonderful way to create your lovely cakes.I’m sure Mother Earth is Happy.